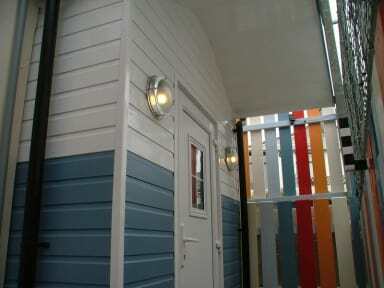 Portrush Holiday Hostel i Portrush, Nord-Irland: Bestill nå! CANCELLATIONS: If cancelled up to 7 days before date of arrival, 20 percent of total price of the reservation will be charged. 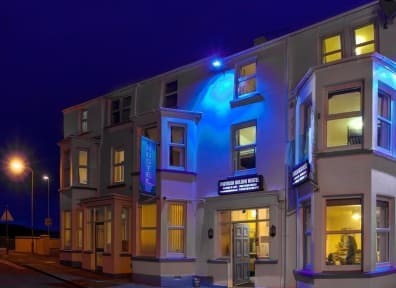 We are a small family run hostel in the centre of Portrush, near to all popular amusements, bars, local recreation parks and award winning restaurants. We have Free Wi-Fi and internet connection in all bedrooms and throughout the building. There is also a large comfortable living room with real coal fire for the enjoyment of all our guests. We also have a large kitchen with all utensils that are needed. All points of interest are only a short walking distance, including train and bus stations. We also provide FREE OF CHARGE COMPLIMENTARY BREAKFAST that includes teas, coffee,various types of breads, jams, milk, orange juice, various types of cereals, muesli, and porridge. Groups of 5 people or more must contact the Hostel prior to booking. Groups of more than 2 people under the age of 21 years must contact the Hostel prior to booking. Groups found to be making multiple small bookings will be asked to leave, resulting in loss of payment in full. It is a policy of our Hostel that children/minors under 18 years of age can not share mixed dormitory bedrooms with other adults in the interest of child protection laws. Our large family room and rates are strictly for families of 2 adults & 3 children under 16 years of age. Our small family room and rates are strictly for families of 2 adults & 2 children under 16 years of age. Photographic ID may be asked for when checking in at reception. Assistance outside of these hours may be made with prior notice. CANCELLATIONS: If cancelled up to 2 days before date of arrival, 20 percent of total price of the reservation will be charged.